Jacksonville, OR. combines the gentle ambiance of a designated Historic Town in a vibrant setting. The area features numerous wineries, tasting rooms, the famous Britt Music Festival, a summer-long music performing arts festival and the incredible Rogue River for the avid fisherman. The whole town turns into a Christmas Card with it’s “Victorian Christmas” in Dec. 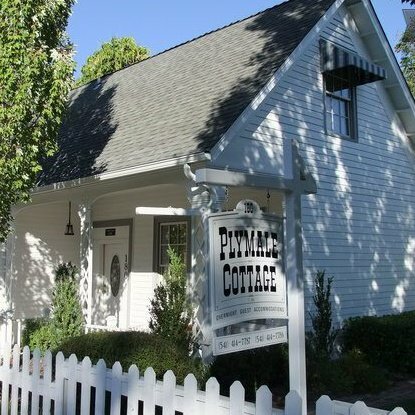 Award-winning dining and wonderful shopping options are all within walking distance of the Plymale Cottage, in the heart of Jacksonville. The Plymale Cottage, built in 1865, is on the National Historic Core Registry of Jacksonville, OR. The cottage is open year round. Check the calendar for availability. The cottage owner lives on the first floor. There is a Guest private entry via a lighted outside stairway leading to the Guest entrance. 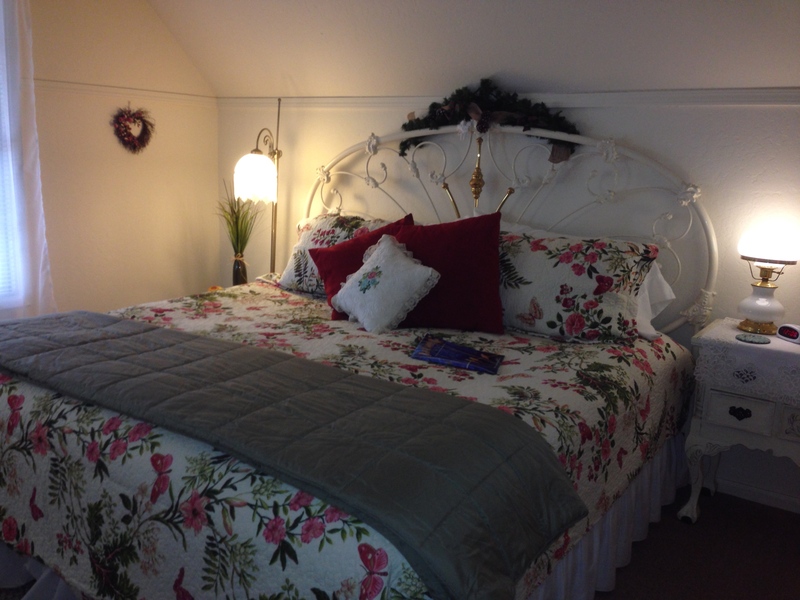 Two lovely Guest bedrooms, a Guest Sitting room. A bathroom with a shower is at the end of the hall with, hairdryer and toiletries. A small Guest balcony at the top of the Guest stairs will enable you to enjoy your morning coffee or an evening glass of wine, people watch and relax under the huge trees shading the Guest entry. 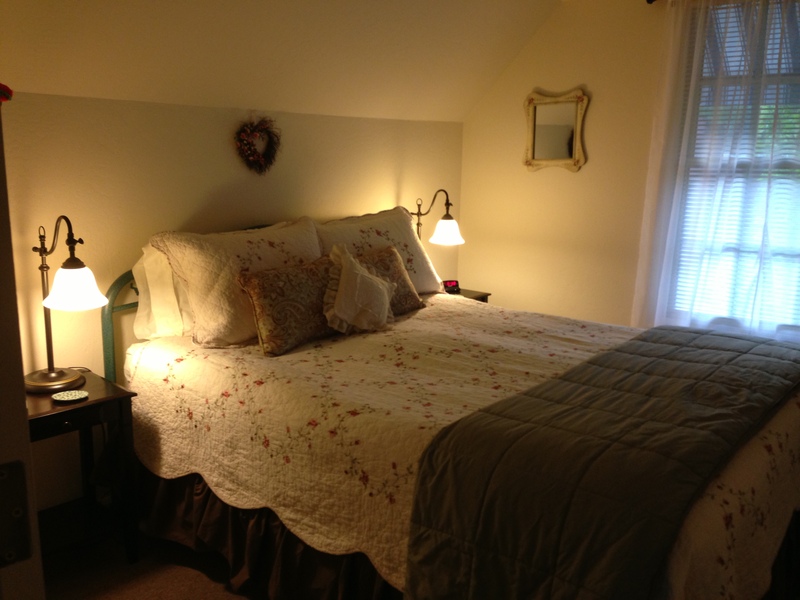 The Plymale Cottage is not a true Bed and Breakfast, it is a “Bed and Biscotti”. Coffee, tea, homemade biscotti and fruit are provided each morning for your enjoyment. There are a TV and WiFi, a small refrigerator and microwave in the hall coffee area for the Guests’ use. Of course linens, shampoos, and a hairdryer, etc, are available. Park your car in the driveway near the white picket fence and walk anywhere in Jacksonville. Check websites: jacksonvilleoregon.org for information and events that will keep you entertained. The Jacksonville Chamber of Commerce/Visitors Center is across from the cottage. The Historic Jacksonville Cemetery, as well as the Post Office also. Walk around the corner of the cottage and discover the Magical Historic Town of Jacksonville, OR. The cottage is non-smoking, please. 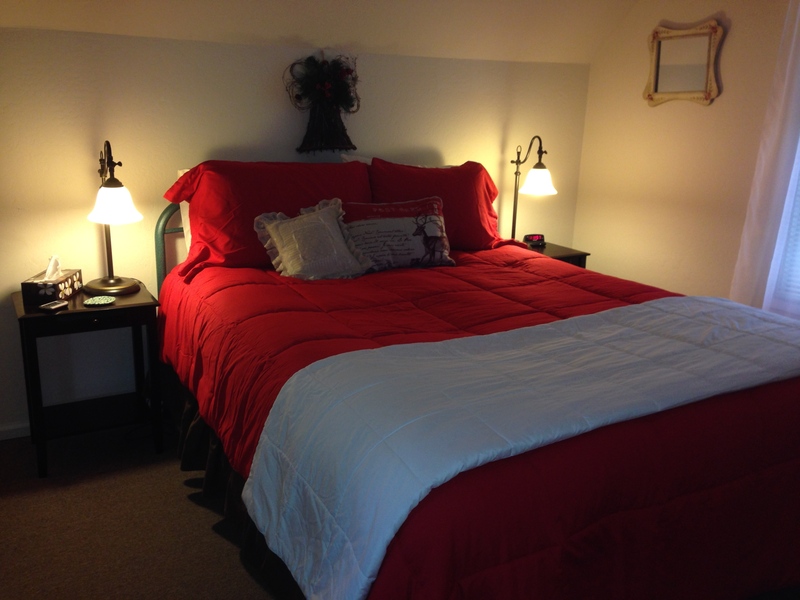 Each room accommodates 2 Guests. Individual room keys and entry door key for each Guest. WiFi, TV, small refrigerator and microwave are available for your convenience. Separate lighted Guest stairway to the Guest balcony and entry. Check-in: 2:00pm. Arrangements can be made for late check-ins. You can make a reservation thru Airbnb.com only. For availability, please see the Airbnb Calendar, Description and Pricing. There is a 2 day minimum stay. Also, Airbnb’s Moderate Refund Policy. 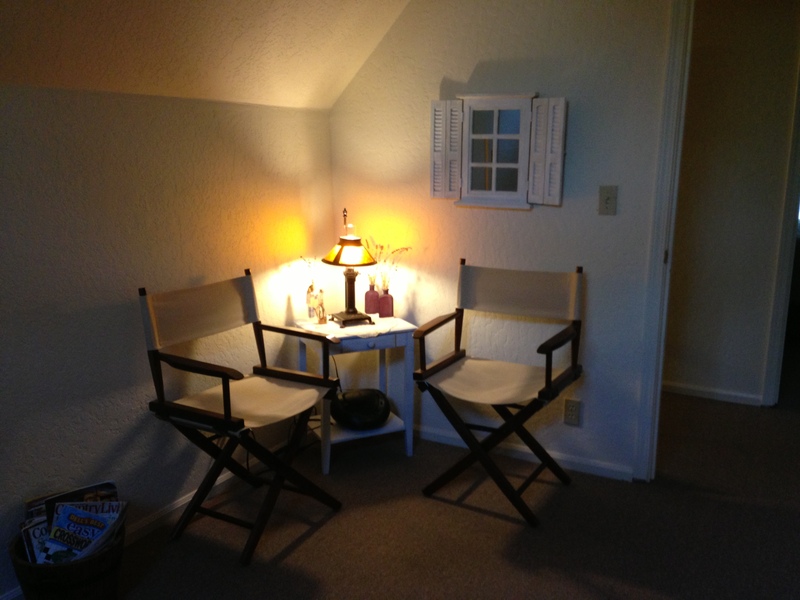 To book thru Airbnb, log on to Airbnb.com, > Enter Jacksonville, OR > Enter Plymale Cottage. You will see photos of the Plymale Cottage. The King Room, Queen Room, Guest Sitting Room, the Entry Stairs and Balcony, Kitchenette hall area. See our over 100 reviews on Airbnb. 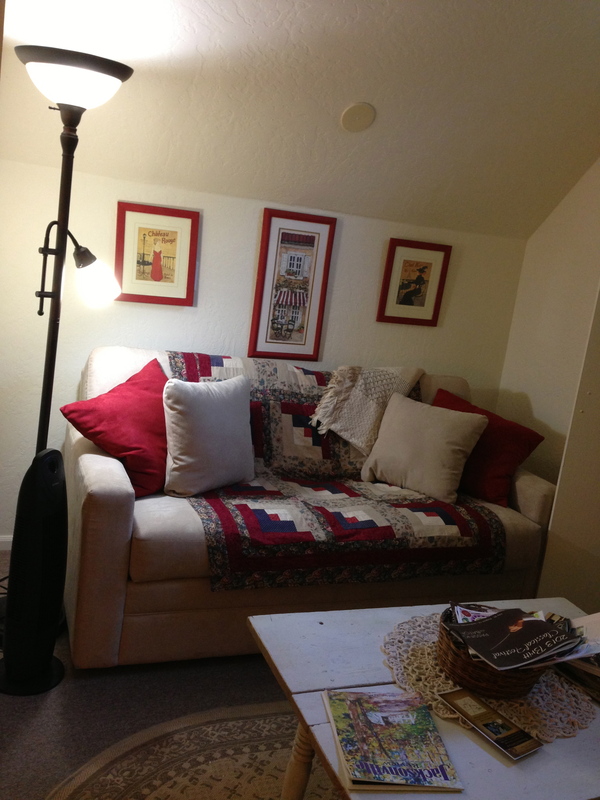 We are “Airbnb Superhosts” and rated “4.8 Stars”. I will email you, thru Airbnb, prior to your date of arrival with a “Welcoming Email” full of information, asking you what I can have for you prior to your arrival. We are in the center of a wonderful National Historic Town which has so much to offer. Southern Oregon is a wealth of activity. You can park in the driveway or in front of the cottage, walk all over town, to Britt and hike the Jacksonville Woodland Trails or mountain bike. You can also walk to the famous Historic Jacksonville Cemetery. Each Guest is welcomed personally and by the time you leave you will feel like family. Snuggley beds, relax in the sitting room, people watching from the tree-covered Guest Balcony, all in complete privacy, you do not go through the owners first floor home. Your separate entry gives you the feeling of being in your own private two bedroom apartment. Thoreau’s aphorism, “In wildness is the preservation of the world.” It’s time we turned our attention to what may be the most important landscape in the twenty-first century—the city. The city must be recognized as part of nature and designed accordingly. Be profoundly aware of the wildlife in Jacksonville. The deer, the raccoons, and beavers. The historic town is a wealth of historic old growth trees, oaks, conifers, pine trees which Oak Bugs may drop out of as you watch the deer (beautiful bucks) crossing the street sometimes in the pedestrian lanes. Treat with care and respect. 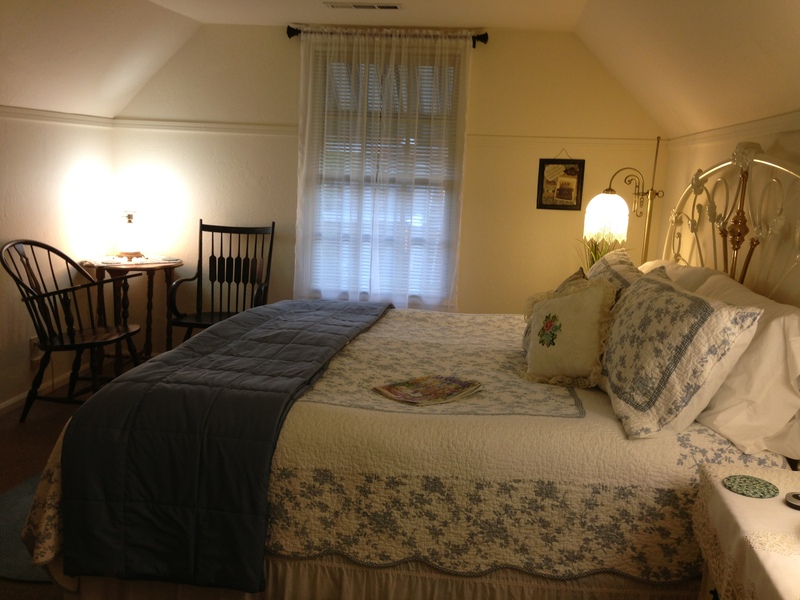 See all the latest 100 reviews on Airbnb > Jacksonville, OR > Plymale Cottage > Reviews.